From the so-called “historical data” for the town of San Jose in Batangas1, we learn of this obscure and for all intents forgotten children’s game played in the town early during the American colonial era in the Philippines. These “historical data” are documents required in 1951 by the administration of President Elpidio Quirino of Department of Education districts around the Philippines to reconstruct local histories destroyed during the Second World War. The name of the game was gurumay, and its mechanics were explained by one Eladia Yuchengco, presumably a teacher in San Jose in the fifties. She explained that gurumay “was a traditional game in San Jose, Batangas, which was commonly played by children thirty years ago.” She failed to state if the game was invented in the town or if it was played exclusively there. There are no references to it available over the Internet and the closest there is to it is a game called bati-cobra which we shall be returning to towards the end of this article. Since the game was played “thirty years ago” from 1951 when the national government first solicited the historical data, then it was being played in San Jose in the 1920s and earlier. Below are the mechanics of the game as explained by Yuchengco, edited for grammar where necessary. There are two or more players. Each player must have three sticks of different lengths. One stick which will be used as a bat is the longest and measures about a meter long while its width is about one and a half inches. The second stick is ½ foot long while the third is about 3 inches long. A hole is dug in the ground about 2 inches deep and the length (of the hole) is about the same as the second stick. The width (of the hole) is about 2 inches. A coin is tossed to determine who will serve first if there are only two players. If there are more than two, the players devise another way to determine the order for serving. The server strikes the longer stick and as it is “jumps” up hits it with all his might or force. As the stick flies away, all players watch where it will fall. The distance between the hole and the spot where the stick lands is then measured. The player who gets the longest distance wins the game. The server forfeits his turn to serve if he fails to hit the stick. As mentioned earlier, the author can find no references to a game called gurumay over the Internet. There is, however, this traditional Filipino game called bati-cobra which is described by one Lee Baong below. It has similar if not exactly the same characteristics to gurumay. 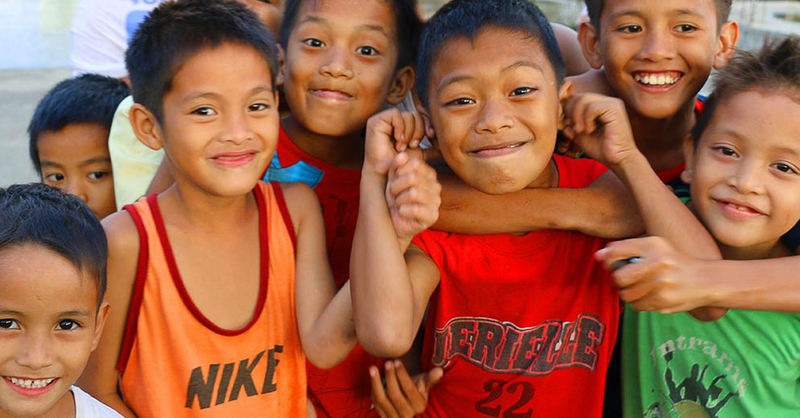 Bati-Cobra is a classic but popular game among the kids in the province. It is a hitting and catching game. This game is played outside just by at least two players. To play this game, two bits of bamboo sticks (one long, one short) are required. The long one fills in as the bat and the short one fills in as the ball. Furthermore, a little ground hole is required that makes a permanent base. At least two players can play the game. To decide the main hitter, the player that strikes the smaller stick farther from the base will be the first to hit. A player acts as a hitter and stands inverse from the others players at a distance. Tossing the smaller stick upwards and striking it hard plays the game. The other player from a far distance tries to get the stick. Whoever gets it turns into the next hitter. In the event that no one gets the stick the non-hitter may get the stick and strike the more extended stick set around the hitter close to the base. A player turns into the following hitter if the more drawn out stick is struck, however in the event that not, the main hitter keeps playing. Points can be score by measuring the distance from the base up to where the smaller stick landed. The longer stick is used to measure the distance. Every length of the stick is proportionate to one point. A layer that gets 100 points or more is the champ2. 1 “Historical Data of San Jose, Batangas,” online at the National Library of the Philippines Digital Collections. 2 “Bati-Cobra - A Traditional Philippine Game!,” published 2018 by Lee Baong, online at Steemit.